Greetings and welcome to the City of Dothan's website and 24-hour city hall! All of the city employees are excited about our newly redesigned pages and hope that they are helpful to you in learning more about our city and its services. We hope to have a much more interactive and up-to-date site than ever before. Please do not hesitate to contact us if you need further information or just have a suggestion for us! Michael "Mike" West, a professional administrator with 33 years of municipal government experience, is the City Manager of Dothan, Alabama. Prior to his November 2004 commence in Dothan, Mike served as City Manager in Johnson City, Tennessee; Assistant City Manager in Columbia, South Carolina; and Budget Director in Fort Lauderdale, Florida. 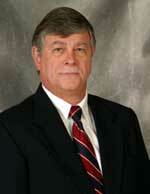 Additionally, he was the Assistant to the County Manager in Florence, South Carolina. A graduate of the University of South Carolina, West received his Bachelor of Arts in Political Science and his Master's in Public Administration. He served active duty in the United States Air Force from 1973-1976 when he received honorable discharge. West's past private sector experience includes time in senior management with Waste Management Inc. of Florida and Dean Witter Reynolds, Inc.
As Dothan's City Manager and an unfaltering community leader, West brings a wealth of experience in intergovernmental cooperation, financial management, and economic development, as well as capital and redevelopment programs. His key attributes are communications, leadership, and human relations and a firm commitment to create and maintain quality, local communities. Mike and his lovely wife of 40 years, Deb, are proud parents of two daughters. Their oldest daughter, Stefanie, is a graduate of Yale University where she received a Doctorate in Genetics. She currently teaches at the University of Texas in Austin. Their youngest daughter, Ashley, is a graduate of the University of South Carolina and Florida State University Law School. She is serving a clerkship with Judge Harry S. Mattice, Jr. of the U.S. District Court, Eastern District of Tennessee, Chattanooga, Tennessee. Mr. and Mrs. West are blessed to have two wonderful sons-in-laws: Rob, an Episcopal Priest and Travis, an attorney. The real joy of their lives is their three year old grandson, Weston (and there is a granddaughter on the way!). The West Family enjoys photography, road trips in their sports car, and biking.